Last summer the 6L87 cement train from Earles to West Thurrock was a regular runner down the MML and over the Goblin late afternoon/early evening. It ran on Friday 12th for the first time in ages, although I believe it ran as 6L89 and it's origin was Tunstead, not Earles. I think it ran instead of the Saturday working which was cancelled on account of weekend engineering work on the Goblin. 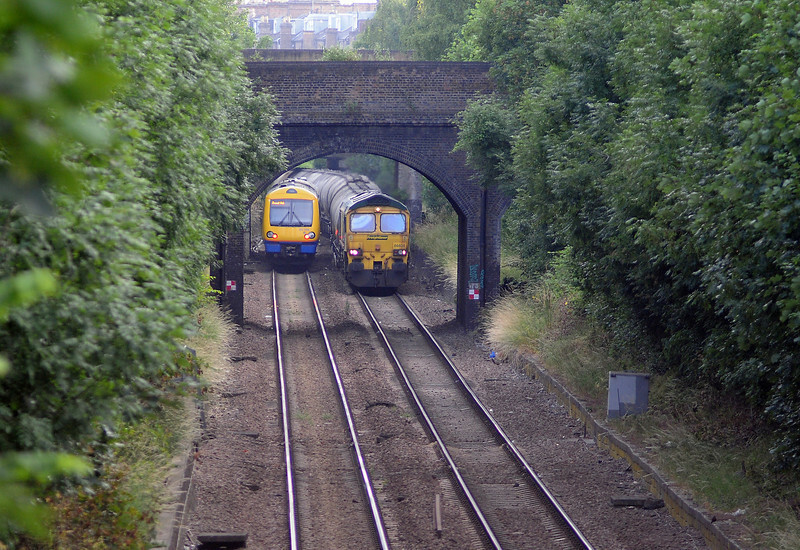 It approached Crouch Hill a few minutes early at 19:19, passing a Gospel Oak bound 172.